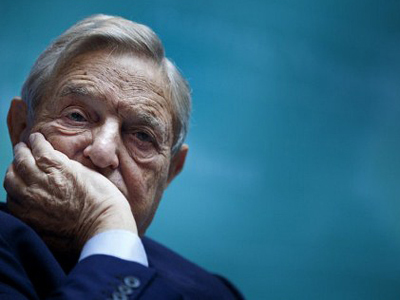 Soros, 81, previously bet against the British pound in the early 90s and made $1 billion off its collapse. In the years since, he’s remained active in investing, but also in advocacy. He’s helped keep Wikipedia afloat thanks to impressive contributions and through donations to the Tides Center, has indirectly funded Adbusters, the Canadian anti-capitalist magazine that put Occupy Wall Street on the map. Speaking to Newsweek recently, Soros neglected to acknowledge his past successes, but instead offered a word of warning: a period of “evil” is coming to the western world.